Muttahida Majlis-e-Amal (MMA) was founded by . Find Muttahida Majlis-e-Amal (MMA) MMA Detail Election Results 2018, national assembly Seats, Sindh, Punjab, Balochistan & Khyber Pakhtunkhwa KPK, FATA, News, Candidate names, Muttahida Majlis-e-Amal (MMA) MMA Party Contact Information, Party Flag, Logo & Songs. The MMA is the ruling party in NWFP province. It is comprised of several Islamic religious organisations:Jamiat Ulema-e-Islam or JUI Maulana Fazlur Rehman faction. The more hardline and traditional Deobandi stream of thinking - with popular appeal amongst clerics and the Pakhtuns and Balochis of NWFP and BalochistanJamiat Ulema-e-Islam or JUI Maulana Samiul Haq factionJamiat Ulema-e-Pakistan or JUP. 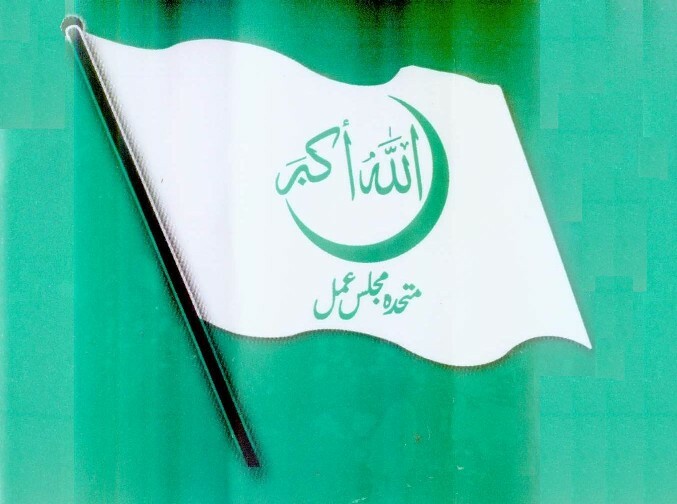 A traditional Barelvi political party, whoch is more moderate in its thinking and is popular with traditional and folk Muslims in Pakistani villages in Sindh and Punjab.Jamaat-e-Islami is the largest and most organised is the protagonist of the coalition.Tehrik-e-Islami the pro-Iran Shia group formerly known as the Tehrik-e-Nafaz-e-Fiqah-e-Jafaria TNFJ.Other groups, such as the Ahl-e-hadeeth jamaats of Pakistan have at times been members of the coalition.